Hey guys! Checking in with you as there's only three days left until the final episode of The Legends 招摇. 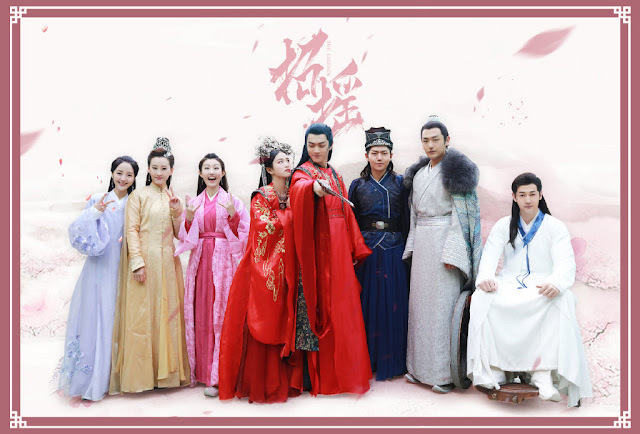 The series is based on the novel by Jiu Lu Fei Xiang 九鹭非香 who is also one of the writers for the series. When it first aired, the drama attracted quite a lot of fans. The novel itself already had the good bones of what could be a potentially interesting drama - spirited kick arse female lead and a good looking, devoted (and powerful) lover. Add that to a scriptwriting team helmed by the successful novel's author and a drama with great potential could be in the cards. Then somehow, some way, things headed south. In the latter half of the series' episodes, that strong start seems to have tanked as viewers expressed their disappointment in many things. Firstly, the unnecessary changes introduced to the original story with the obvious intent to draw out screen time. Now as far as dragging out the screen time goes, this is not something new in the drama industry. As we've mentioned before, many dramas are guilty of prolonging the story to maximise their profit margins. Look, after all the efforts put towards bringing Jin Xian to life the first time, and the good guys finally extinguishing him with phoenix fire seemingly for good, who here recalls the ridiculously cliched zombie-ish scene where Jin Xian so easily comes back from the dead... yet again?! Apparently, this was one of the moments when the story line started to move sideways and left novel readers totally clueless about what was going to happen next due to changes in the original content. Moreover, it seems the plot has been reduced to a repetitive retelling of memories added in to kill time. Secondly, the fact that less air time has been given to our two main protagonists Bai Lu and Xu Kai has had viewers scratching their heads wondering whether the scriptwriters are confused as to whom the lead characters are (sarcasm intended). This is another classic screen filler tactic, air time bumped up for supporting characters such as Jiang Wu, played by Dai Xu. Unfortunately, such changes came at the expense of the character development getting thrown out the window. Also, talking about the effort to stretch things out, I guess being the son of the Demon King meant enemies getting overpowered too quickly. So Li Chenlan suddenly seems to have been made weaker to allow for more conflict and more drama? Eh? What? Even the brazen Zhao Yao becomes insipid and uncharacteristically tolerating towards the second lead Jiang Wu. She has also been blamed for failing to act in a couple of deaths tacked on to the story for seemingly no reasons other than to have dramatic deaths. With so much delaying tactics and "water injections" introduced up to this point, is it any wonder that viewers are quite worried about how it's all going to end? The Legends is supposed to be THE happy pill to counteract that tearjerking Goodbye My Princess which aired quite recently. With Goodbye My Princess' emotionally charged finale still fresh on audience's minds, a sad (un-book like) ending for The Legends will definitely be a tough pill to swallow. They should have just been faithful to the novel when it comes to drama adaptations. Its like they're catfishing their novel fans just for views only. Yes, that series does have water injections but for me, mostly it is sweet water. I liked most fillers and would have liked getting an own story from QQX. I even complain about the lack of scences for the intented second ML. He hardly is more than a sidekick. What a bummer since the actor surely had owned it. The original novel indeed is pure fluff and I adore it but what is the problem with straying from the book? For me the book has too little "meat" to keep normal viewers interested in such long time. For a 20something episodes I would have not agreed with the changes but since it is twice as long, they needed to add something. I just wish they had added more in the middle of the series. Looks like the end will be typically rushed and has too much emotions at once. @Anon 2.a -- then they would not be giving the proper recognition and proper monetary rights to the original author. Since the author is part of the writing team, perhaps, he/she wanted to expand more, sometimes words in books don't translate into the drama world very well. 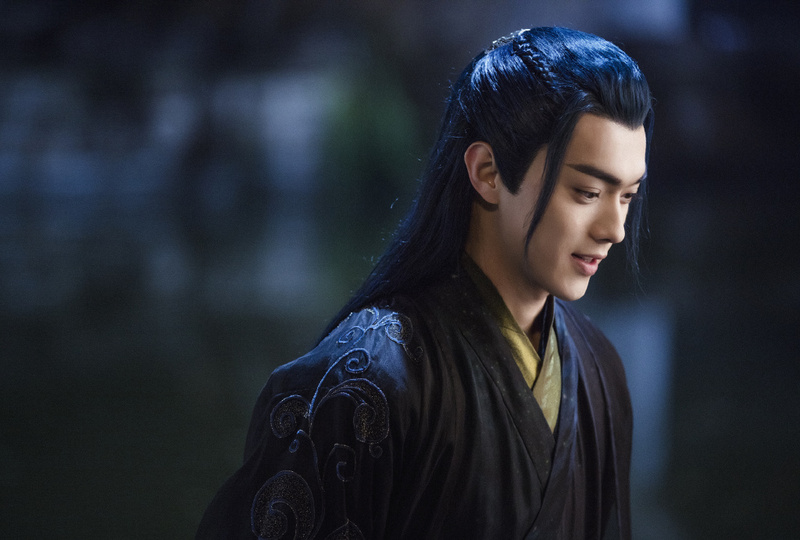 I haven't had time to watch the latest episode after their marriage, however if they are adding story line to Jiang Wu, I would not mind, since he is a very good actor and is owning the character very well. The two main leads are so cute and adorable together, I would not be surprised if the rumors are true that they actually did date for a bit, especially when watching the behind the scenes takes. They are so cute with each other. The changes haven’t really bothered me, I feel like everything has been building up naturally. Also I felt that Zhao Yao and Mo Qing’s “tolerance” towards Jiang Wu made sense in a way because both Zhao Yao and Mo Qing kind of got stuck between a rock and a hard place. For Zhao Yao, on the one hand Jiang Wu was being awful and kept trying to hurt her Ugly Little Monster, but on the other hand Jiang Wu saved her life and she was extremely grateful. And the same went for Mo Qing, Jiang Wu was trying to ruin his life basically, but on the other hand Jiang Wu had saved Zhao Yao and for Mo Qing Zhao Yao’s life is more precious than ANYTHING (even his own life), so again he was stuck between hate and gratefulness. 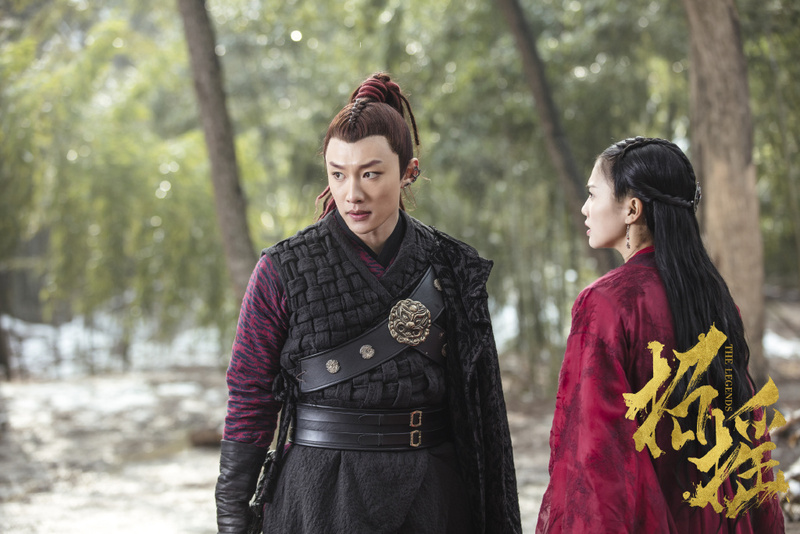 I also don’t mind Luo Ming Xuan being revived because I can’t wait to watch badass Zhao Yao saunter in with a huge sword demanding her husband back!! 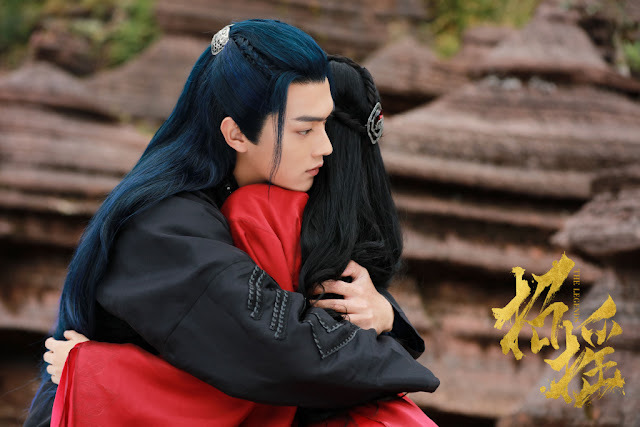 It also book ends the show, seeing as near the beginning of the show Zhao Yao also saved Mo Qing from being executed by the same people, which I think is interesting! Nice to find someone who does love that series too and not complaining constantly about the changes. It isn't that unique for me like you but it is so far my favorite Drama this year what surprises me a lot since I just watched it because I subscribed the official YT channel for an other Drama before this. I won't even mind a "sad" ending since it would fit. Of course, I wouldn't mind seeing ZY's daughter. Ha Ha. It's hilarious how people are mostly looking for a happy ending cuz Goodbye My Princess was just a tear-fest. Personally I loved GMP and this isn't bad either but I totally agree with the last statements of the writer here.